RSVP AND GRAB YOUR TICKET! 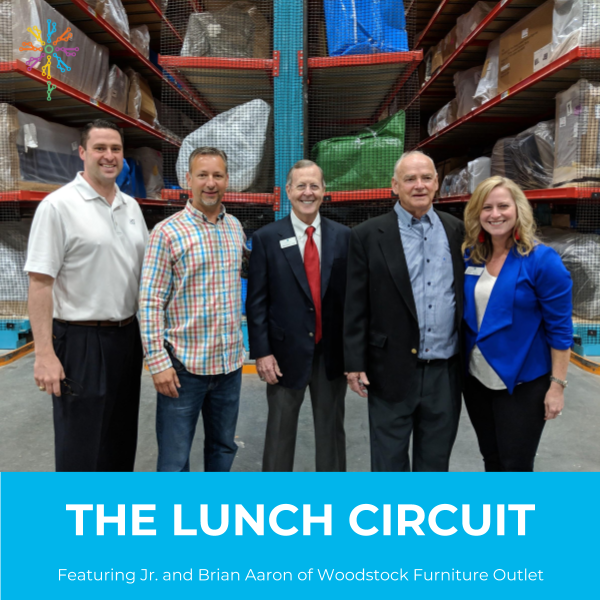 We are excited to feature Cherokee County natives and entrepreneurs, Jr. and Brian Aaron of the family-owned business, Woodstock Furniture Outlet and Woodstock Mattress Outlet. Come hear about their entrepreneurial journey with a community of like-minded entrepreneurs. Jr. and Aaron will share wins, losses, and lessons learned along the way. The Lunch Circuit: food, community, and stories of entrepreneurship.